Alright, alright, we won’t remind you again about the stellar 2015 Bordeaux vintage, or the 90-point score, or the Costco-crushing price. Nope. 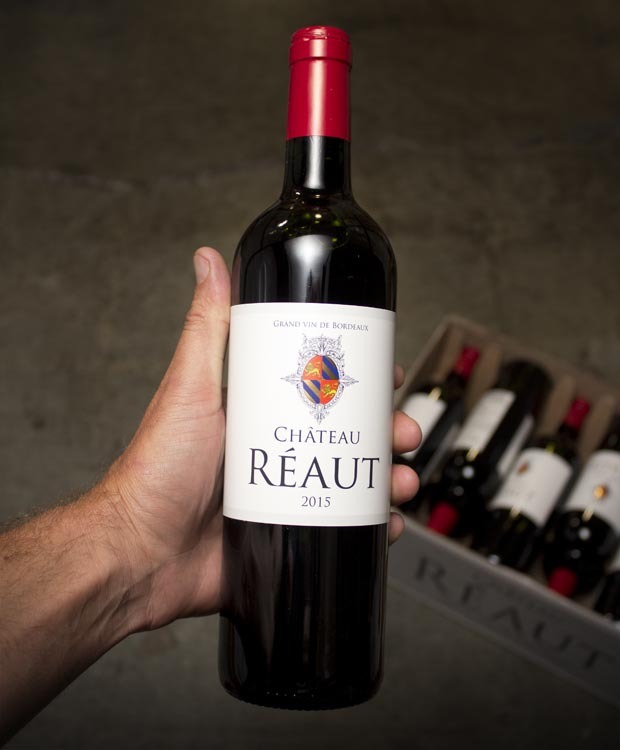 Instead we’ll tell you about how Château Réaut is the first estate in the world to be shared between Bordeaux and Burgundy families, an exceedingly rare occurrence in the territorial world of French wine. And it was started back in 2003 by Champagne Louis Roederer (Cristal producer). Cool, eh? Oh, and the deliciousness factor. This wine is BANGIN’! The folks behind the wheel at this Chateau know exactly what style they are shooting for, and it’s not your dad’s Bordeaux. All the deep, polished 2015 fruit is here, and it is so ripe, lovely, generous and friendly you might think you’re drinking Napa or Sonoma. We’d go so far as to say “sumptuous”, as it is a MASSIVE crowd-pleaser with all of its softness and drink-me-now yum-ness. Amazingly good and drinks like something that costs more than $25, for sure!! BORDEAUX! We never get enough and certainly not in vintages like this. Treat yourself ---- we are!!! While it lasts..! Free ground shipping on 6 or more bottles.